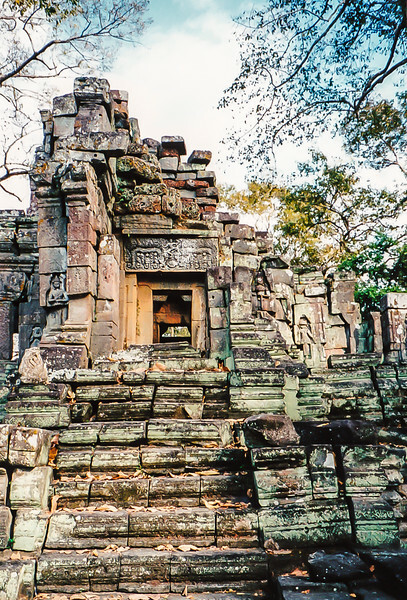 In the afternoon, we visited some of the minor temples in the Angkor Thom complex. 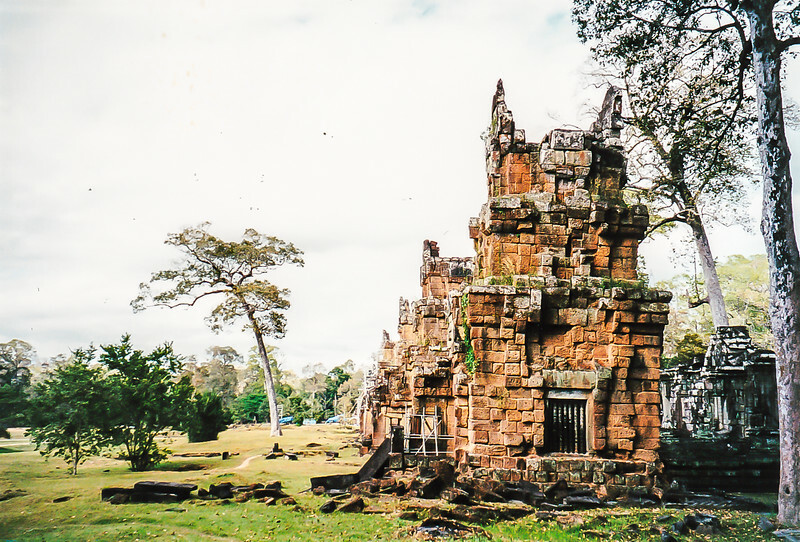 We started with the Khleangs, a total of twelve towers across the road from the terrace of the Elephants and the Terrace of the Leper King. 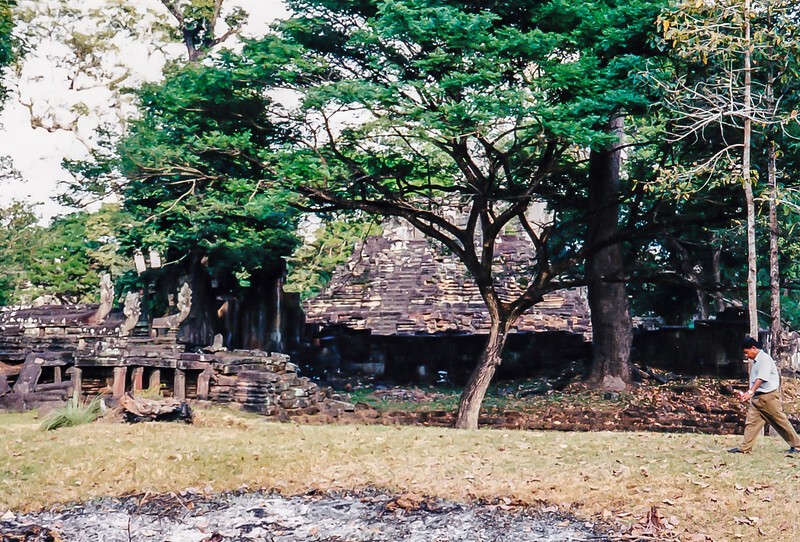 We were the only visitors in this area of many temples. A couple of the towers are being restored. This was the first place – the only place – where we saw garbage dumped among the ruins. Very sad. 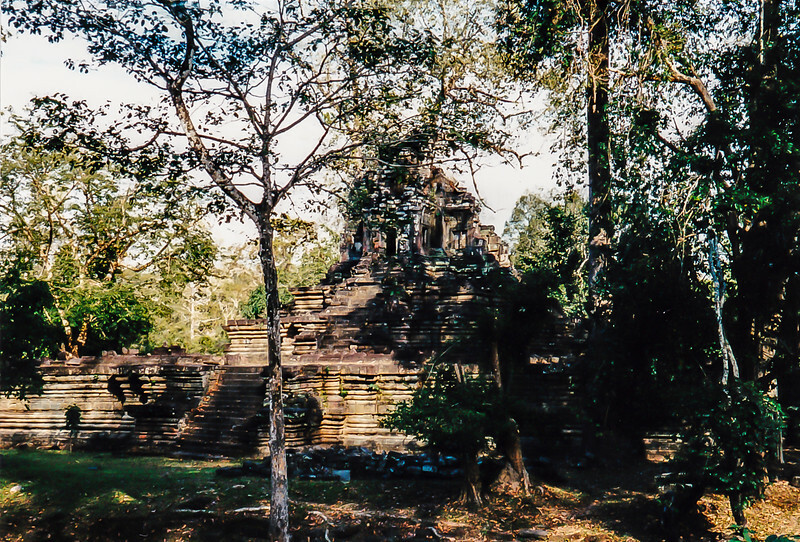 Behind these were two Buddhist temples, Tep Pranam and Preah Pithu. 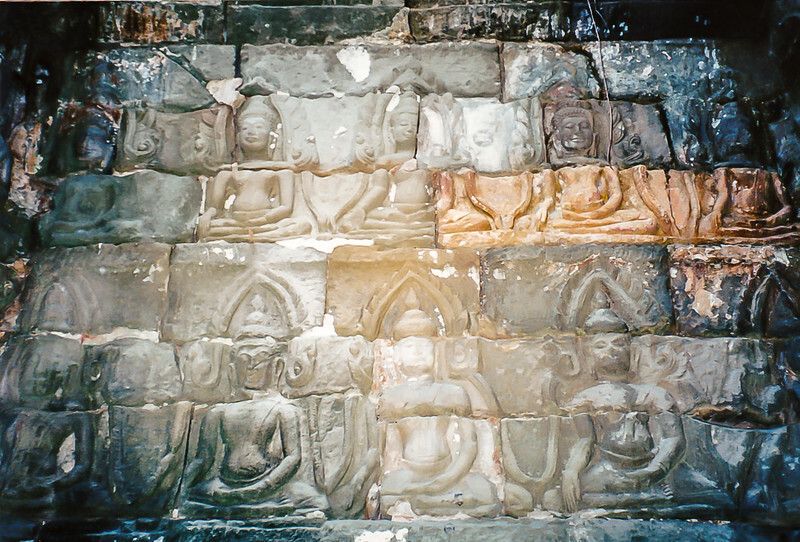 There is little left of Tep Pranam, but a Buddhist shrine occupies part of the temple platform. 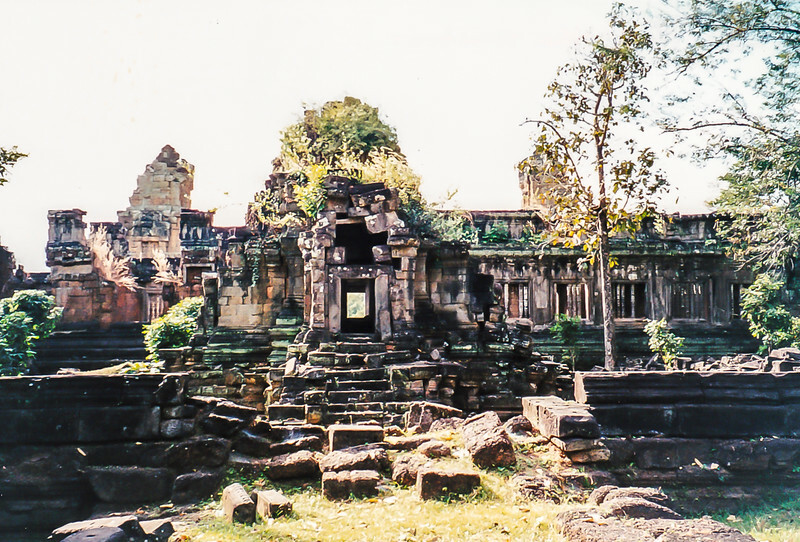 Preah Pithu was more interesting. Two small boys acted as our guides. 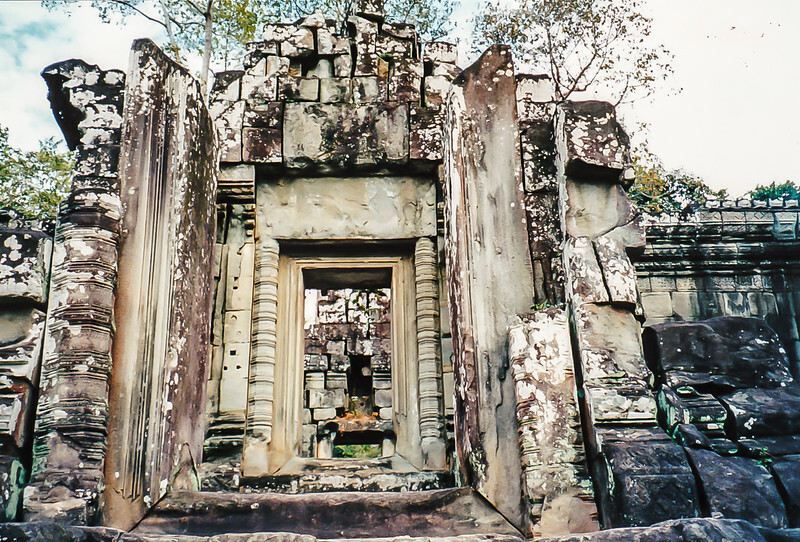 It’s a lovely little temple with 40 to 60 (the boys couldn’t agree on this) Buddhas carved inside the main tower. One thing our two guides did agree upon was how much damage the Khmer Rouge had caused. 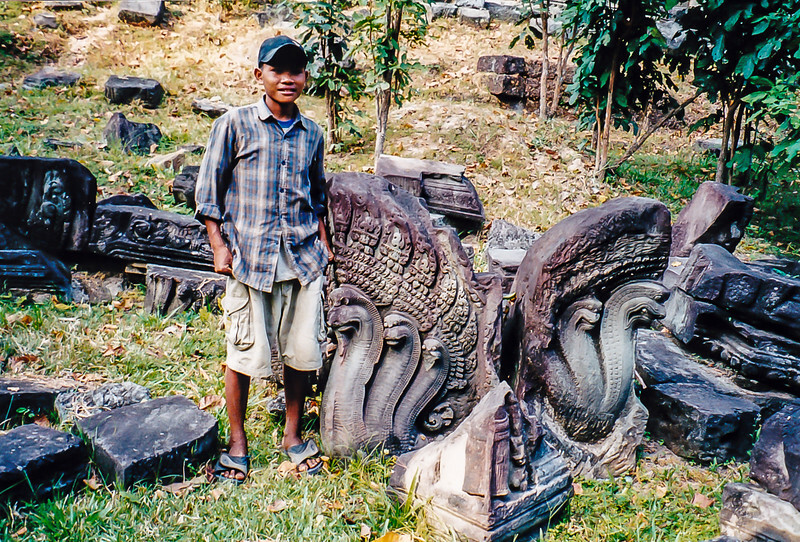 One of the boys graphically described the Khmer Rouge hacking off the heads of Buddha statues. 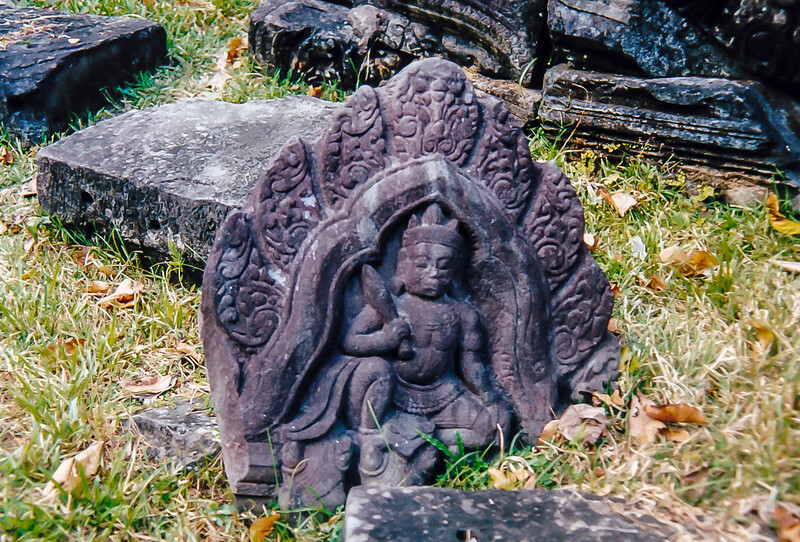 As we were leaving the temple, I photographed a stone carved with a figure holding a sword. 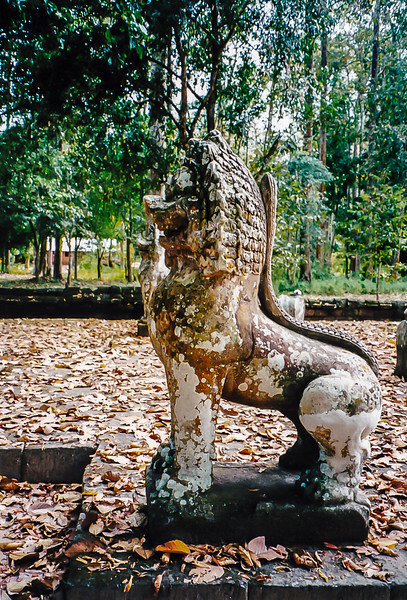 To me, this symbolized the triumph of the temples over the desecration of the Khmer Rouge. It may be my favorite photo of this trip.